Phantom Tag Protector Customers Can Now Purchase Our Technologically Advanced Anti Photo Lens, as a standalone Product, to Replace The Damaged/Aged Anti Photo Lenses Currently Installed In Their License Plate Covers. I would like to announce that we've finally been successful in granting a request we have been receiving from our customers for years. Over the years, customers have been requesting to purchase the anti photo lens inside of our anti photo license plate covers as a standalone product. These customers were mainly interested in replacing the damaged/aged anti photo lens with a new lens, and continue to use their existing license plate cover. 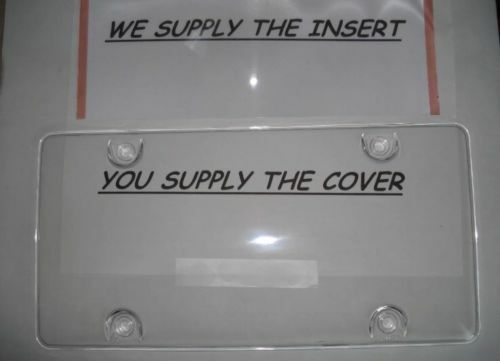 Other customers had existing non-anti photo covers that they wanted to now equipped with anti photo features. However, due to our manufacturer reluctance, we weren't able to fulfill these customers wishes.